Hi, welcome back! You will find this edition packed full of news and information. My favorite authors will tell you in their own words their news and upcoming releases. I have listed all the current and upcoming releases for winter and into 2000 in The Winter Wish List. This list can also be found on the homepage and at the bottom of this page. ." (Note:cursor will bring up title of book when placed on the cover. )*** I do want to take a moment to recommend two books I have read this past month. Gayle Wilson's LADY SARAH'S SON and Susan Krinard's TOUCH OF THE WOLF. LADY SARAH'S SON is the story of Sarah whose deathbed promise to her dying sister changes her life forever, to save her fiancee from scandal she ends her engagement. Not knowing the reason for this, he is emotionally lost on his return to the war. At war's end, he returns home with a terrible injury . Torn by his lack of self confidence and tortured by the ravages of a horrible war, this is a wonderful story of rediscovery of self worth and love for both the hero and heroine and a thoughtful and different way of ending the story. Gayle has a new Regency set trilogy "THE SINCLAIR BRIDES" (Harlequin Historical (6-00). The first book is "MY LADY'S DARE" HH 516, the others concern Dare's brothers. Also she is doing an anthology (Harlequin's "BRIDES BY ARRANGEMENT" (9-00) with MARY JANE PUTNEY and MERLINE LOVELACE. Gayle's story is "My Darling Echo". *** Susan Krinard's TOUCH OF THE WOLF is a book that when I read the last page and closed the book..., all I could say was "WOW"! 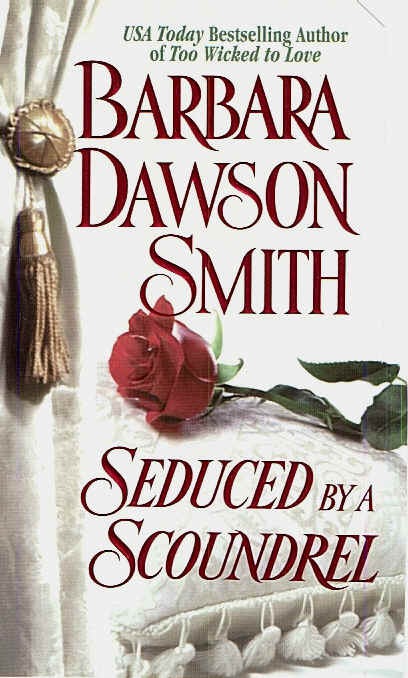 Though set in the Victorian era, (knowing the Regency fan that I am - grin) I was engrossed and held captive from the first chapter. There is several storylines here, and books on the hero's brother and sister will be coming. The story will make you laugh and cry, tug at your heart strings and make you want to know what will happened to the other family members when you finish the book. I hope you will enjoy it as much as I did. The second in the trilogy "PASSION OF THE WOLF" is tentatively scheduled for next fall. Now back to the news on current and upcoming releases of my favorite authors. *** LYNN COLLUM (LORD DRAGONER'S WIFE - Signet) is working on a Regency trilogy about two sisters and a brother. The first book (having a Christmas time setting) will be published in December 2000. The second book (Valentine's Day setting) will be February 2000 and the third book (spring wedding setting) on April 2000. *** DAWN ALDRIDGE POORE (aka JULIETTE LEIGH) has a novella coming out in a Mother's Day 2000 anthology. Sadly, she said this might be her last regency, I sincerely hope not. Having many regency books to her name, I hope she finds a new publisher and remains with her reading public. *** LORETTA CHASE has an idea for a historical mystery/suspense book set in an early 1800's setting. *** DEB STOVER just finished her eighth novel for Kensington "A MOMENT IN TIME" (6-00) is the story of the hilarious antics of a slightly haughtly time-traveling hairdresser and a gorgeous miner who isn't really a miner! Set in 1981. See coverart!! 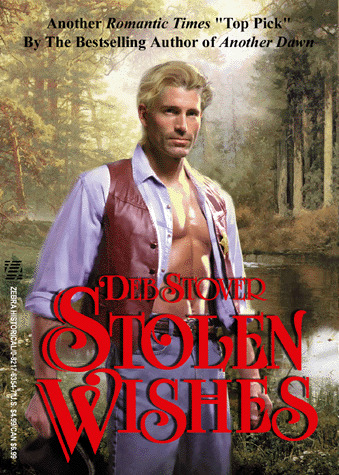 Her "A MATTER OF TRUST" (Zebra Bouquet Romance 1-00) and "STOLEN WISHES" have very nice artwork, too. *** SUSAN SIZEMORE has "ONE A LONG AGO NIGHT" (5-00) Avon Historical, plus a short story in the "PERCHANCE TO DREAM" anthology (4-00 DAW). She is also working on two futuristic romances plus another historical romance for Avon. *** Jove will be introducing a new line of Irish romances, "IRISH EYES" in time for St. Patrick's Day next year. *** ROBIN SCHONE's next book, "THE LOVER", has a tentative release date of April 2000. According to Robin, "The Lovers is a blend of erotica, romance and mystery. I explore a fantasy that I think many, many women have - myself included. "***JO BEVERLEY: "Zebra will be reissuing the first 3 Rogues stories. "AN ARRANGED MARRIAGE" will be December 1999 with "UNWILLING BRIDE" in December 2000 and "CHRISTMAS ANGEL" in December 2001." 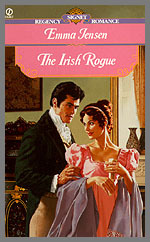 Jo said there is a possible regency historical, and a spin-off of the Rogues as well in the future. "DEVILISH" will be published in May. "DEVILISH" is the long awaited story of the Marquess of Rothgar and Diana, Countess of Arradale. "THE BURNING POINT", MARY JO PUTNEY's first contemporary romance is tentatively scheduled for May 2000. Mary Jo said, "it's a "lost-love-regained story with an unusual edge." Later in the year "THE CHINA BRIDE" (8-00) will be released. This is the sequel to "THE WILD CHILD". *** STEPHANIE LAURENS' Bar Cynster series "A SECRET LOVE" (Gabriel's story) is tentatively scheduled for July 2000. Stephanie said, I'm currently working on Lucifier's story. 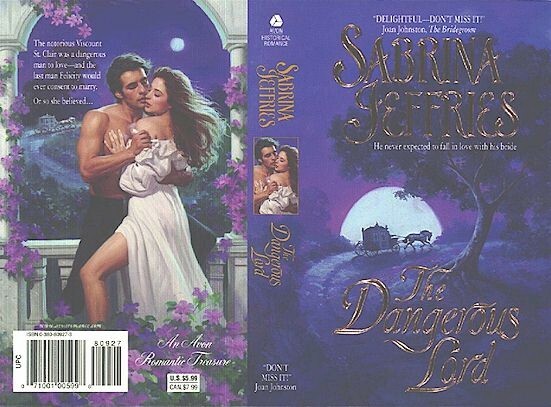 *** SABRINA JEFFRIES ("THE DANGEROUS LORD") has coverart and the newest Parasol Papers for the book on her website. You can see both at http://sabrinajeffries.home.mindspring.com/dangerouslord.htm. Sabrina has finished the first book of a trilogy due out Jan 2001 ("THE MAN OF AFFAIRS"). Sabrina also starting her latest historical romance, tentatively titled "THE HIGHWAYMAN'S SON". She also has a contest for goodies and an autographed copy of "THE FORBIDDEN LORD". *** JUDITH LANSDOWNE'S "BALMORROW BRIDE" was nominated for a The Reviewer's Choice Award and The Bookstores That Care Award. BARBARA METZGER's "MISS LOCKHARTE'S LETTERS" won The Bookstores That Care Award and EMMA JENSEN's "BEST LAID SCHEMES" won The Reviewer's Choice Award. Happy am I, I have all three!! grin. *** Judith said, "there's already a sequel to "AMELIA'S INTRIGUE" in the works. After "MISTLETOE KITTENS", JUDITH LANSDOWNE won't have any books out till August 2000 with "ONCE UPON A WALTZ". Then four books and two novellas appear in five months time! The Nightingale trilogy was noted in the Fall Edition of Favorite authors. ***LYNN KURLAND's "THE MORE I SEE OF YOU" is connected to "THIS IS ALL I ASK", and "STARDUST OF YESTERDAY" (about Robin De Piaget's sons or foster sons). Robin's book is coming out October 2000. There is a family tree in the back of "THE MORE I SEE OF YOU". *** DANELLE HARMON said, "THE DEFIANT ONE" is finished and I have given Lord Andrew one of the strongest and spunkiest women I have worked with since Maeve Merrick ("MY LADY PIRATE") and Mira Ashton ("CAPTAIN OF MY HEART"). Lady Celsiana Blake gives our scientist hero quite a time and if you think Lucien was bad in "THE WILD ONE" and "THE BELOVED ONE", he is positively diabolical in "THE DEFIANT ONE". Avon has scheduled "THE DEFIANT ONE" for June 2000, with Lucien's book "THE WICKED ONE" coming out six months later." 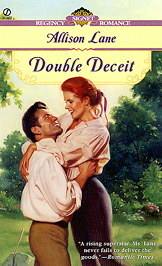 SARA BLAYNE says, "A NOBLE HEART" (12-99 the fourth in the "Noble/Powell family" series), is about William's very romantic adventure involving the mysterious Miss Felicia Talbot; an exceedingly unsavory villain; smugglers and river pirates! I am working on "THE SCANDALOUS DUCHESS", a Zebra Splendor Romance. Here Lucien Keene, a dark, handsome and confirmed bachelor comes into the sphere of a heroine who invents things; has a mechanical ability,and is a beautiful and independent single mother." 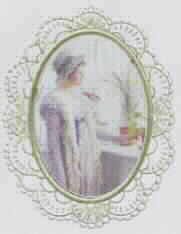 Sara is currently working on her 19th book - a Historical Regency. *** JEAN ROSS EWING's "MY DARK PRINCE" due for release September 2000. ***JOAN OVERFIELD, "THE SCOTSMAN AND THE SPINISTER" will be the first book under my Carolyn Madison non de plume and it'll be out fall of 2000". ***EDITH LAYTON's "THE CHALLENGE" is a spin-off of the "THE CAD" and "THE CHOICE" and is Lord Wycoff's story! (though Gilly and the others will make cameo appearances in it). Edith also has a regency novella in "A REGENCY CHRISTMAS PRESENT" from Signet out now. ***JULIA QUINN on "THE DUKE AND I" (8-00), "this book has all new characters, although Robert from "EVERYTHING AND THE MOON" has a walk-on, but doesn't talk (grin)."